The Raspberry Shake team is working on some new tech. 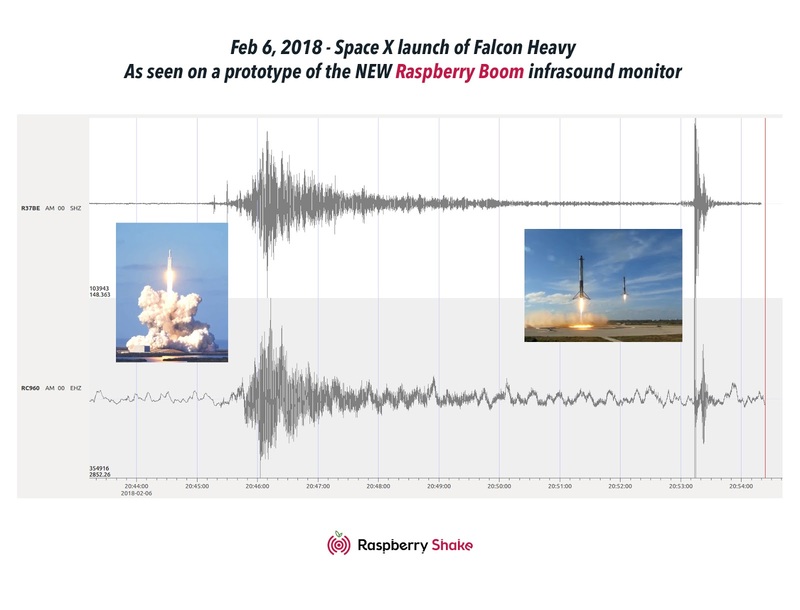 We decided to test our top secret new sensor 10 km from the launch site of SpaceX’s Falcon Heavy rocket, the most powerful rocket in decades. You can check out the data from the Raspberry Shake in Swarm (CAPS connection)- look for R37BE.SHZ at 2018-02-06 20:45 UTC. We have been dropping hints about the new sensor on social media (@raspishake) for months now. The new sensor will be officially announced soon in preparation for our third Kickstarter campaign which has been slated for March. So stay tuned! A very special thanks to Raspberry Shaker R37BE for making this possible.